A short biography of Italian anarchist bricklayer Celso Persici, who fought fascism across Europe and in Morocco, by his son. 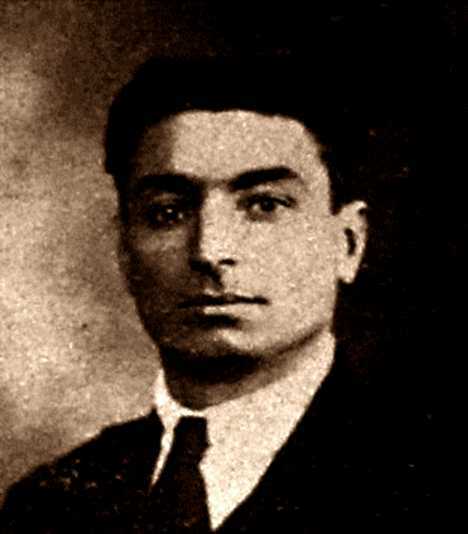 Up until 1923, Celso, who came from Bazzano (Bologna) had been very active in the Anarchist movement and in the USI (Italian Syndicalist Union). Armando Borghi was the head of the USI in Bologna at the time. He was also active in other places around the province of Bologna. Among his associates, those whom I met and can recall now, were Luigi Fabbri, Gino Balestri, Primo Proni (my grandfather), Emilio Predieri (an uncle of mine), Castagnoli and there were others whose names I cannot call to mind. There was an uprising in Bazano (I cannot recall the exact year) in which my father was an active participant, holding rallies in several towns around the province and in Bologna. Seventy people were arrested as a result of that revolt and they included Gino Balestri and my father who got a longer sentence than anyone else (8 months served in the San Giovanni in Monte prison in Bologna). My grandfather and my mother Libertaria attended the trial, as did many others, in a show of support for the jailed comrades. It was there that my mother and father first met. The fascists, who were growing increasingly violent at the time, so much so that my grandfather was picked up from his home one night by a gang of fascists who brought him to the banks of the Reno river (in Bologna) to shoot him, and someone miraculously saved him. My father was harassed several times and beaten almost to death, as a result of which he was obliged to go into exile in France in 1923. In Paris he was active alongside many other Italian and French comrades. The ones I can recall include Gino Balestri, Edoardo Angeli, the Gigliolis (father and sons- Libero, Equo, Rivoluzio and Siberia), my uncle Emilio Predieri, my uncle Antonio Persici, Mastrodicasa, the Berneri family, Luigi Fabbri and his daughter Luce, Mioli, the painter Vezzani, Pio Turroni, Vella, Marzocchi and Chessa along with many another Italian comrade whose name escapes me. All of these comrades, virtually all of them dead now, were very well known in Italy and beyond. In Paris and Marseilles my father joined with some other comrades to form a bricklayers’ co-operative; the others included Gino Balestri, Edoardo Angeli, Emilio Predieri, Tozi, Mioli, and Berneri worked with them for a short time, as did others I have forgotten. The aim of their co-operative was to find work for comrades whose papers were in order and others whose status was not regularised. Profits went to the anarchist movement. In search of work, they moved several times, to Vichy to build the casino there, and worked on the casino in St Jean de Luz and worked in Nice on the Monte Carlo Sporting Club. After two years in Nice they moved on to Marseilles for health reasons. After some years, the French police, acting in cahoots with Mussolini’s police, raided the house one morning to arrest my father. They waited outside the house in a car for him to emerge, aiming to pick him up and deliver him secretly to the Italian border. He was quick-witted enough to evade capture, retreating inside the house where he was followed by two plain-clothed policemen. We were therefore aware that he had been placed under arrest, as a result of which they had to process his detention through proper channels. He was taken to the Eveche (the main police station in Marseilles) and deported from France. Spain was the only country that would take him and so he was taken to the Spanish border. The revolution broke out there a few months later and he was involved in the early fighting in Barcelona and along with some others he organised the influx of volunteers from all over. He worked at the Italian Section in the FAI Regional Committee premises in Barcelona alongside Berneri and Barbieri. Cavallina was the Italian vice-consul at the time. Many comrades passed through there and on to the Huesca front and to other key places where the Italians served. Siberia Giglioli, Castagnoli and another comrade who had been living in Switzerland, saw to the reception of volunteers. Following the murder of Berneri and Barbieri, he left for France, living clandestinely in Brest for about two years. He fled Brest when the French police came looking for him and another comrade, Lelli, and they headed for Marseilles to embark clandestinely for Algeria to visit Edoardo Angeli who had been living in Algiers for several years. Within 24 hours of their reaching Angeli’s home, the police burst in and arrested all three of them. Angeli served several months and my father and Lelli were jailed for a year. On leaving prison, all three of them left for Casablanca in Morocco.